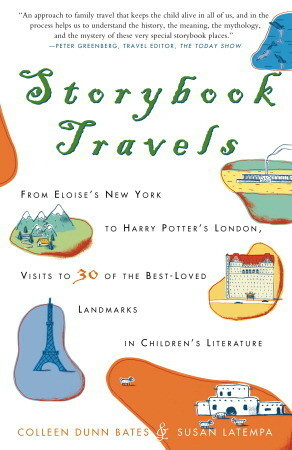 Storybook Travels: From Eloise's New York to Harry Potter's London, Visits to 30 of the Best-Loved Landmarks in Children's Literature. With itineraries for more than thirty locales in North America and Europe, Storybook Travels explores destinations near and far, rural and urban. Whether you want to plan a trip that will mean as much to you as it will to your children (or grandchildren), are looking for ways to enrich already-planned trips, or want to bring to life the fondly remembered books of your own childhood, Storybook Travels is your guide to one enchanting journey after another. 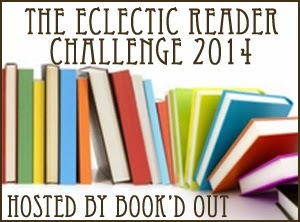 I read Storybook Travels as my non-fiction travel book for The Eclectic Reader challenge. Like the crime book I stood for a long time in front of the travel section at the local library. Finally this book caught my eye and I knew it was the one. Not so much because I was going to follow this itinerary, but because as I read books I think - I would love to visit this setting. As a child when I read books, I spent a long time visualising places and wanting to go to these exotic places. In actual fact I am not much of a traveller, I don't want to go and stand in ancient ruins etc, but storybook places - now that would hook me. This book is written for adults who might take their children to various places, yet I found it just interesting. I have seen a few criticisms on Goodreads from readers saying they could write as much themselves. All I can say is well why don't they or why didn't they do it! These authors have travelled with their children to Europe, Britain and around America and share what they saw and how it related to the books which inspired the trip. Tuscany - Italy as this is the place where the creator of Pinocchio lived. Would be a great area to visit, but going to the town and visiting Parco de Pinocchio I would enjoy too. Prince Edward Island, Canada with of course the Anne of Green Gables book in mind. Graubunden, Switzerland with Heidi giving the impetus to go there. I adored Heidi when I was growing up, my top favourite story and I would love to visit and walk the trails. Concord, Massachusetts would take me to where Little Women was written. Loved that book too. Lake District, England to the place where Beatrix Potter wrote and illustrated. Again a picturesque place and I loved some of those books. I also really enjoyed the movie about Beatrix Potter. Thirty places are discussed, what is there, what you can do and so on, where to contact for more information. I would happily go to the five places above and visit with child's eyes as well as my own adult eyes. Books would make me want to travel where nothing much else would. Even as I read today I think hmm would love to visit this place. Have you visited places because of books? Or if you had the choice to visit one place what would it be? I have been to Concord ..beautiful and as for the rest of your trip..my bags are backed and ready to go with you. We need to add Scotland though. This book sounds delightful and as a non-fiction would so appeal to me. Good find! Oh yes! Scotland definitely, I always love watching TV series set there because of the scenery.